£100 secures booking and is used as your security/key deposit, which is refundable at the end of your stay, pending inspection. Emailed confirmation will be forwarded to you for all payments. Full payment is due 6 weeks before arrival date. Check in time 2pm/ Check out 10am. Keys are located in keysafe attached to caravan. You will be provided with the code the day before arrival. 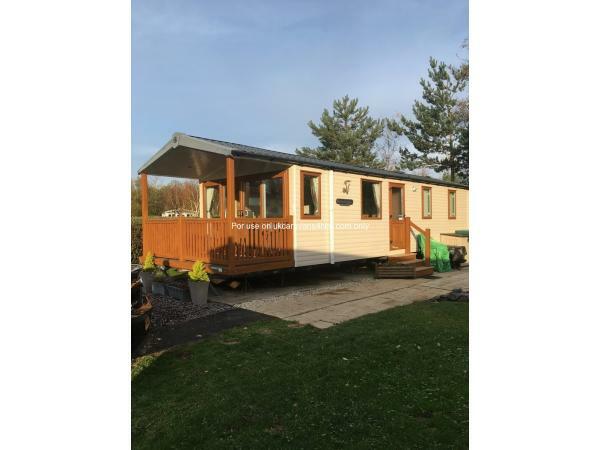 The caravan is situated on a quiet corner plot in the desirable area of Cader Idris, which is a few minutes walk from the main complex and entertainment area. The master bedroom has double bed with under bed storage, built in wardrobes, over-bed storage, hairdryer, TV and en-suite facilities. There is also a travel cot situated in the main bedroom. The second bedroom has two single beds with wardrobe and over-bed storage. The lounge has two comfortable sofas, one of which is a sofa bed. There is a 32” TV with built in DVD player with selection of DVDs. The kitchen is equipped with all essentials, crockery and cutlery. 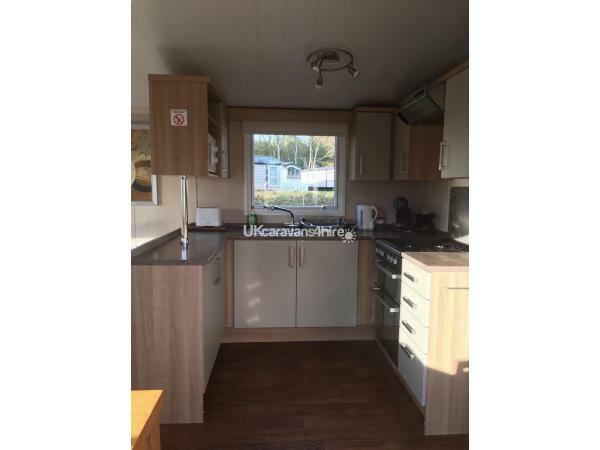 Large fridge freezer and ample cupboard space for your shopping, which can be delivered straight to the caravan from Asda or Tesco. Iron and ironing board are also available. The caravan has it’s own parking space. 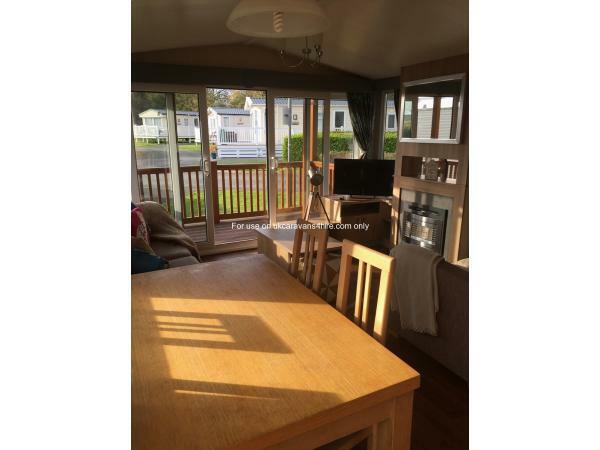 There is a veranda situated to the front of the caravan with outdoor furniture and a large patio area to the side of the caravan with additional patio furniture and rotary airer. Large grassed area to side of the caravan where children can play safely. *Price does not include entertainment passes, however, these can be purchased at reception. *Towels and bed linen are not included in the price. Additional Info: Hafan y Mor has recently been chosen as Haven, Park of the future. The park has benefited from a £12.5 million investment during the winter of 2018. Thanks for a lovely review James.